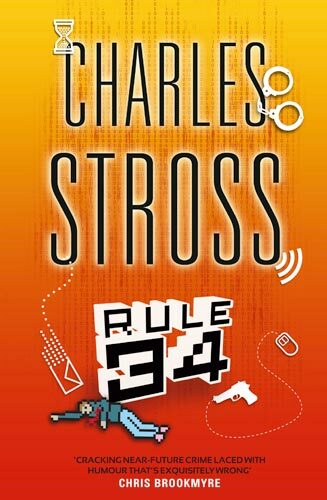 Charlie Stross has a new book out and he’s written a fascinating piece about its themes over at the Orbit site, including the technology of near-future policing, which you can find here. I was on a fascinating panel at the last Eastercon with Peter Hamilton and Nigel Furlong on the theme of the near future and crime in particular. Peter talked about his new book which is considerably more near-future than his last few, and which has led him into heavy research into future police methods. And I talked about my experiences shadowing the police on murder and robbery cases, while researching for cop shows on TV. That was SOME time ago, in the technological dark ages. Since then CAD rooms have acquired touch screen computers, coppers carry video cameras and surveillance systems are now awesome. It’s a truism to say the future is with us already. But it’s also worth bearing in mind that there’s always secret stuff out there too, that we DON’T know about. Worth pointing out that a lot of this new tech is also in the hands of corporate para-governmental divisions (in the grey/black area) who do not have our best interests at heart. We’re getting to the stage where cyber-modelling of communities large and small must surely be going on, for reasons all too easy to speculate on.